Kyle Grillot - kgrillot@shawmedia.com Carol Richardson places tags on the christmas trees donated to the Trees for Troops program. The Richardson's mission is to donate approximately 75 fresh-cut Christmas trees, which will be shipped to American military families at domestic and foreign bases worldwide. While thousands of trees donated to Trees for Troops are donated by American Christmas tree growers such as the Richardsons, individuals can support the program by making donations at participating tree farms or online. 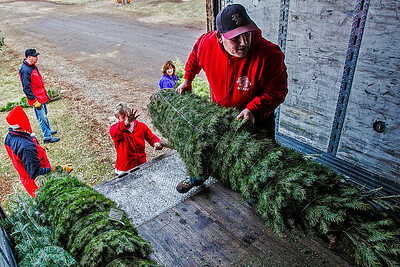 Kyle Grillot - kgrillot@shawmedia.com George Richardson loads a christmas tree onto a truck at the Richardson Farm Monday in Spring Grove. The Richardson's mission is to donate approximately 75 fresh-cut Christmas trees, which will be shipped to American military families at domestic and foreign bases worldwide. While thousands of trees donated to Trees for Troops are donated by American Christmas tree growers such as the Richardsons, individuals can support the program by making donations at participating tree farms or online. 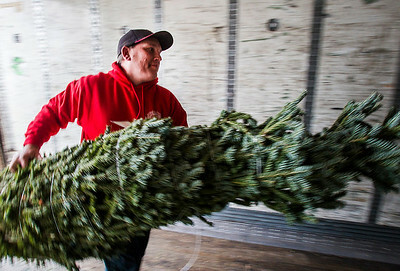 Kyle Grillot - kgrillot@shawmedia.com Richardson Farm employee Don Stupienski loads a christmas tree onto a truck Monday in Spring Grove. The Richardson's mission is to donate approximately 75 fresh-cut Christmas trees, which will be shipped to American military families at domestic and foreign bases worldwide. 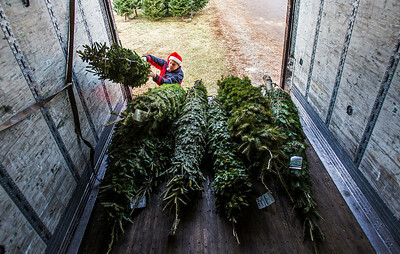 While thousands of trees donated to Trees for Troops are donated by American Christmas tree growers such as the Richardsons, individuals can support the program by making donations at participating tree farms or online. 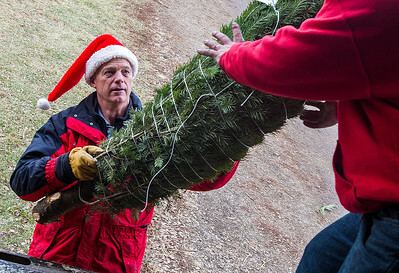 Kyle Grillot - kgrillot@shawmedia.com George Richardson hands Don Stupienski a christmas tree to load onto a truck at the Richardson Farm Monday in Spring Grove. The Richardson's mission is to donate approximately 75 fresh-cut Christmas trees, which will be shipped to American military families at domestic and foreign bases worldwide. While thousands of trees donated to Trees for Troops are donated by American Christmas tree growers such as the Richardsons, individuals can support the program by making donations at participating tree farms or online. 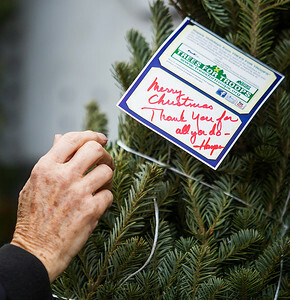 Carol Richardson places tags on the christmas trees donated to the Trees for Troops program. 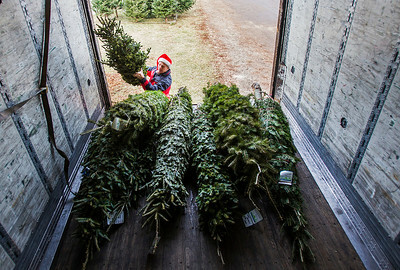 The Richardson's mission is to donate approximately 75 fresh-cut Christmas trees, which will be shipped to American military families at domestic and foreign bases worldwide. While thousands of trees donated to Trees for Troops are donated by American Christmas tree growers such as the Richardsons, individuals can support the program by making donations at participating tree farms or online.